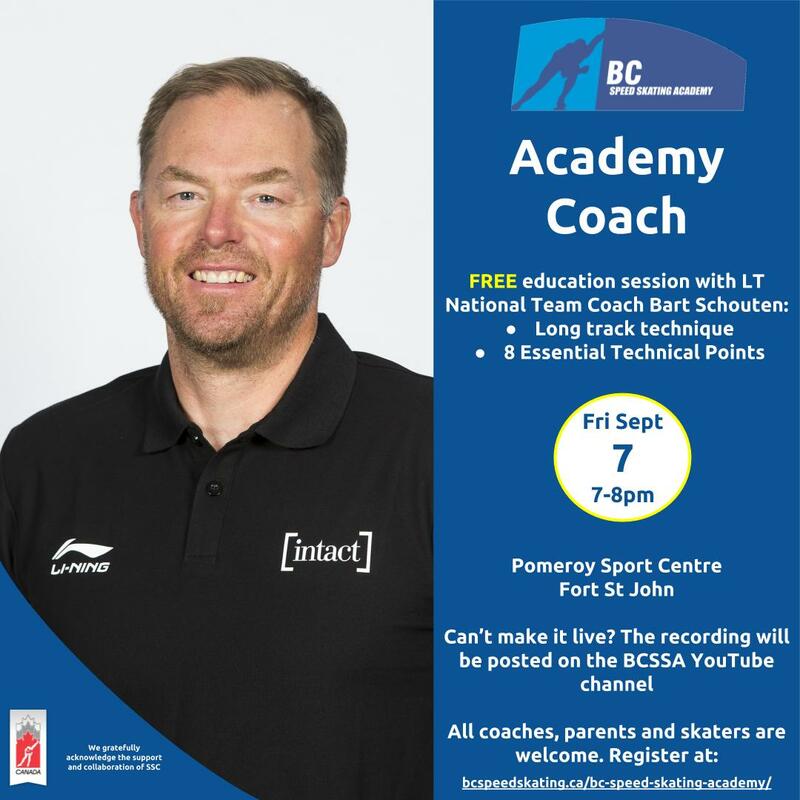 Speed Skating Canada’s National Team Coach Bart Schouten will speak at Academy Coach on September 7th in Fort St John. Academy Coach is a FREE education initiative targeted to all BC coaches. Parents and skaters are also invited to this Academy Coach session. Please ensure you register in advance on the Academy webpage. More details about the session will be sent directly to this who register. Questions can be directed to academy@nullbcspeedskating.ca.